Nottingham has a long history of energy innovation having the right infrastructure and people to get projects off the ground. The City Council launched its 2020 Energy strategy back in 2009 and met the carbon emission targets 4 years early in 2016. The city has one of the oldest and largest district heating networks powered by energy-from-waste serving over 5,000 households and businesses, two world-leading universities in the field of sustainability, a thriving low carbon economy and an ambitious council led strategy delivered by the council’s Energy Services to increase the amount of energy generated locally. The council and local partners are embracing innovation and utilising a broad variety of funding streams to ensure that projects are viable at a local level, both government and EU funding has been used to deliver energy improvements and to pilot new technologies. In 2009 the City Council set some ambitious 2020 targets for itself and the city to reduced carbon emissions from 2005 levels. Looking further into the future, the council has signed the UK100 pledge to meet 100% of the city’s energy demand from clean energy by 2050. One of the councils’ five key pledges is to reduce fuel poverty. 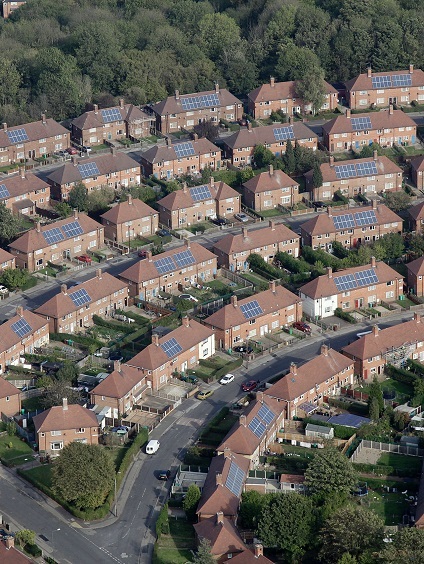 To tackle this they launched the UK’s first local authority owned energy supply company, set a target of putting solar PV on 6000 council homes, and are continuing with area based energy efficiency programmes. The council is working with other European cities, innovative SMEs and universities to drive innovation, which will enable more householders to come out of fuel poverty, significantly reduce city energy usage in all sectors, reduce carbon emissions and improve air quality. ERDF will enable the rollout of EnergieSprong to over 100 further homes and a vehicle to grid pilot for the council’s fleet services. 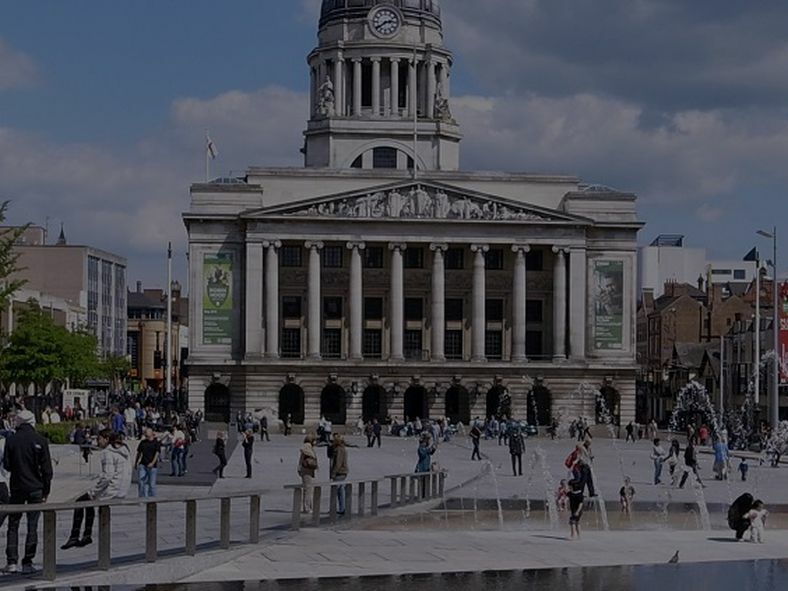 Nottingham City Council and number partners across the city have been collaborating and working with European partners to bring funding and innovation to Nottingham. 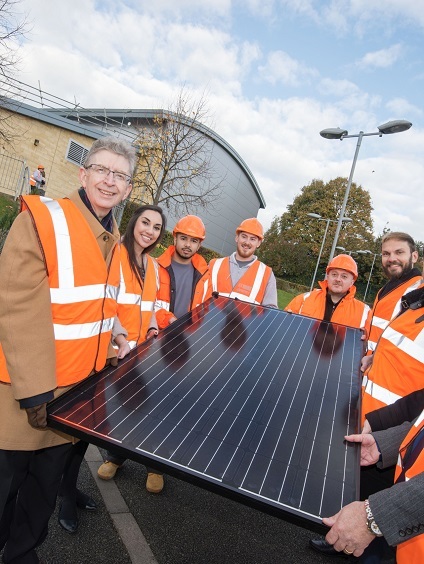 Key partners include The University of Nottingham (UoN), Nottingham Trent University (NTU), Nottingham Energy Partnership (NEP), Nottingham City Homes (NCH) and Blue Print (BP). 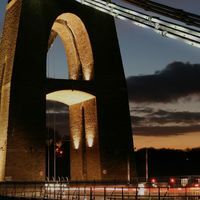 The project aims to tackle sustainability issues around transport, energy, and ICT and to develop a model to show how sustainability can be integrated into the regeneration of towns and cities. Energy efficiency measures have been installed in over 400 households including the UK’s first Energiesprong pilot. This project is overseeing the installation of Europe’s largest community battery (2MWh) and solar photovoltaics that will generate, store and distribute energy at a neighbourhood level, and launch a unique energy company for the residents there. 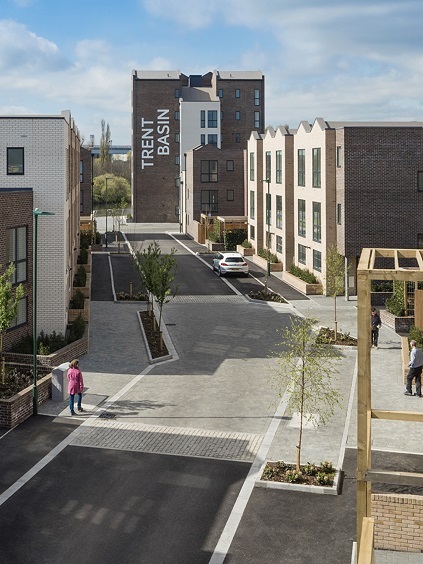 This community energy demonstrator scheme is being rolled out across a 500 new build housing development at Trent Basin delivered by local developer Blueprint. 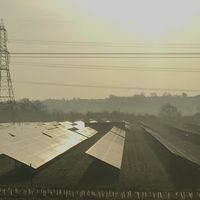 The main objective of the Nottingham demonstrator site is to show that the deployment and use of energy storage within a community can reduce the energy costs for consumers. This project used FP7 funding to fund NCC and UoN modelling to better understand how the city used energy and what it need to do to meet carbon emission targets. The project brought in expertise to the city from industry experts across Europe. The eTEACHER project will develop an ICT toolbox to motivate energy behavioural change in end users. The project aims to illuminate the main factors that influence the energy behaviour of users and create a cost-effective ICT solution. Nottingham City Council is piloting cutting edge fuel cell technology in three of its high energy consuming buildings. This project will maximise the use of locally generated renewable energy to cut the carbon emissions and costs associated with charging electric fleet vehicles, as well as reducing peak demand by using vehicles for short-term storage.